West Michigan CDL offers students the best CDL training program at our CDL license school. WMCDL CDL classes are recognized as the best throughout the state. Our CDL school has hands-on CDL training along with small CDL classes to make sure you receive one on one training with the instructor. We offer a three week CDL training course with the most experienced instructors in the state. WMCDL has the expert teachers that will provide behind the wheel experience during your CDL classes. Lowell, Michigan is a city in Kent County and has a population of 3,783. Lowell has a mixture of restaurants, manufacturing and locally owned businesses. When the residents of Lowell want CDL training from a flexible CDL school they know to contact WMCDL. You can attend our CDL license school which is conveniently located near Lowell. WMCDL offers the most behind the wheel CDL training along with the leading curriculum at an affordable price. WMCDL is a dedicated CDL license school that even offers job placement for our students. 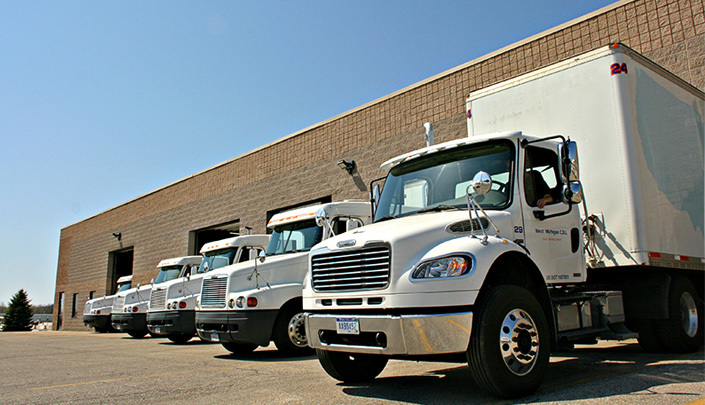 Get the leading CDL training with specialized equipment in a modern facility. Attend daytime, evening or even weekend CDL classes at a reasonable price. WMCDL will give you the individual and personal instruction that will set you up for success. To request free information about our CDL license school, call West Michigan CDL at (888) 550-4947 today!